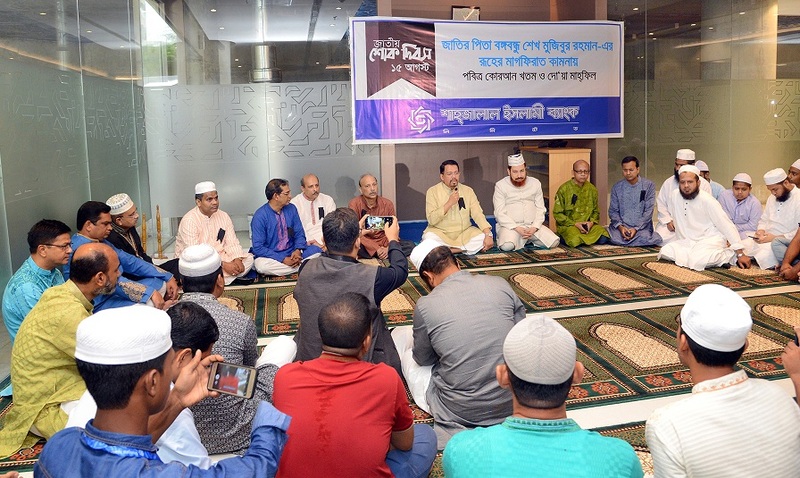 Shahjalal Islami Bank Limited organized Qur'an Khatm & Dua Mehfil at its' Corporate Head Office on 15th august 2018 on the occasion of 43rd death anniversary of Bangabandhu Sheikh Mujibur Rahman, Father of The Nation. The Dua Mehfil was performed for eternal peace of the departed soul of Father of the Nation. The Managing Director& Chief Executive Officer of the Bank Mr. Farman R Chowdhury was present as chief guest in the program while the Murakibof the BankMr. Md. Farid Uddin presided over the Dua & Milad Mehfil program. Among others the Deputy Managing Director & Head of Human Resource Division Mr. MianQuamrul Hasan Chowdhury, the Senior Executive Vice President Mr. Md. Nazimuddoula, Executive Vice President & Head of Common Services Division Mr. Md. Mahbubur Rasheed, Senior Vice President & Head of Public Relations Division Mr. Md. 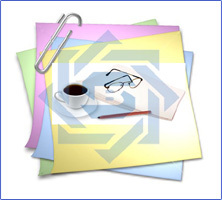 Samsuddoha, Senior Vice President& Company Secretary Mr. Md. Abul Bashar& other officials of the Bank were also present in the Dua Mehfil program.